This program focuses on Anglo Saxons life in the Meon Valley and current practices here at the Sustainability Centre. 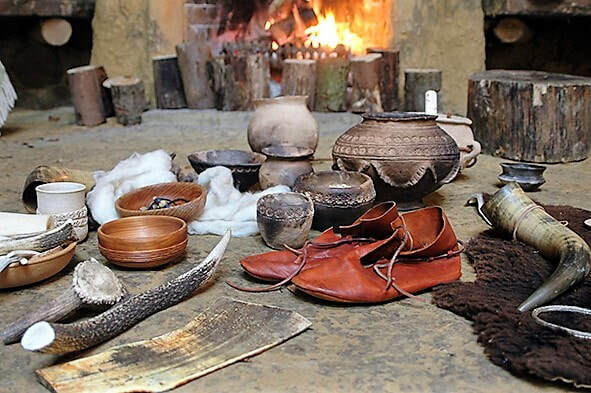 Your class join us in the woodland classroom, set up as a Saxon longhouse, to look at replica artifacts of the period. 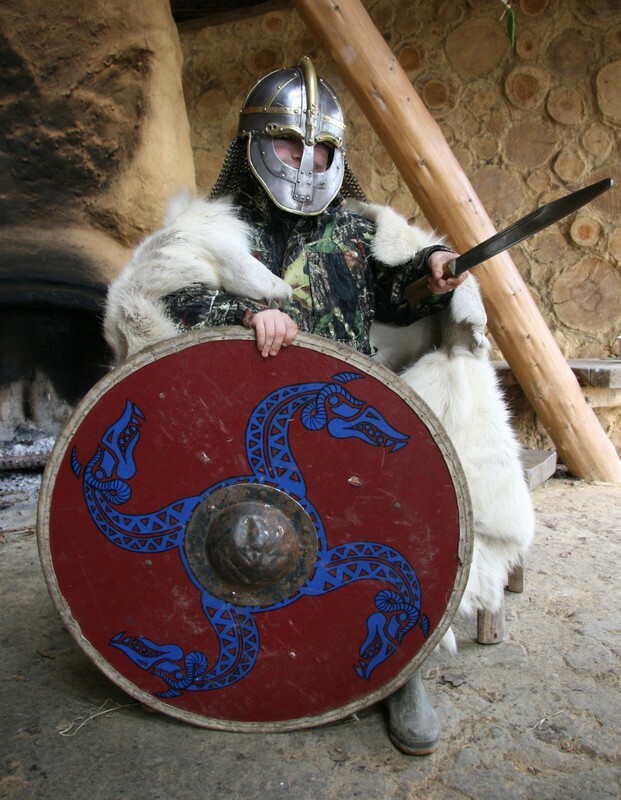 We discuss the domestic life, hand crafts and warrior kit of Saxon peoples. Children engage in a hands on challenge to find evidence from pottery found in archaeological sites. Pupils also have the opportunity to weave mini-hurdles with willow, while learning about coppiced woods used by Saxons to build homes and fences. Exploring the site’s plants, herbs and ‘hedges’, a word derived from Anglo Saxon ‘haga’ meaning enclosure, we see how people then and now value biodiversity in the landscape. Finally pupils hear about the evidence left behind by Saxon settlements and consider what impact the buildings on our site have on the land and what evidence will be left for future generations. History KS2 - Anglo Saxon settlements, village life, art and culture. Design & Technology KS2 - Understanding how key events and individuals in design and technology have helped shape the world. Human and Physical Geography KS2 - Human geography, including: types of settlement and land use, economic activity including trade links, and the distribution of natural resources including energy, food, minerals and water.